"Let it go, let it go! Yes. 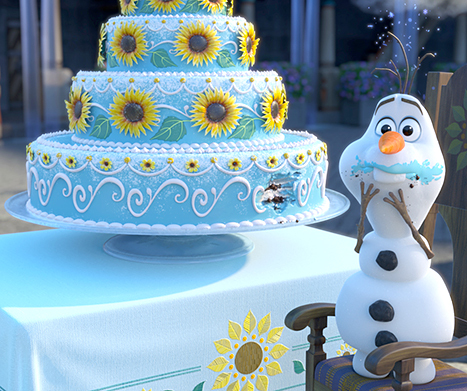 It's a 7 minutes short of Frozen called "Frozen Fever"! And this short will show that the cold ACTUALLY BOTHERS HER. Time to change your lyrics, Elsa. "What do you mean that I cannot wear white and gold dress? 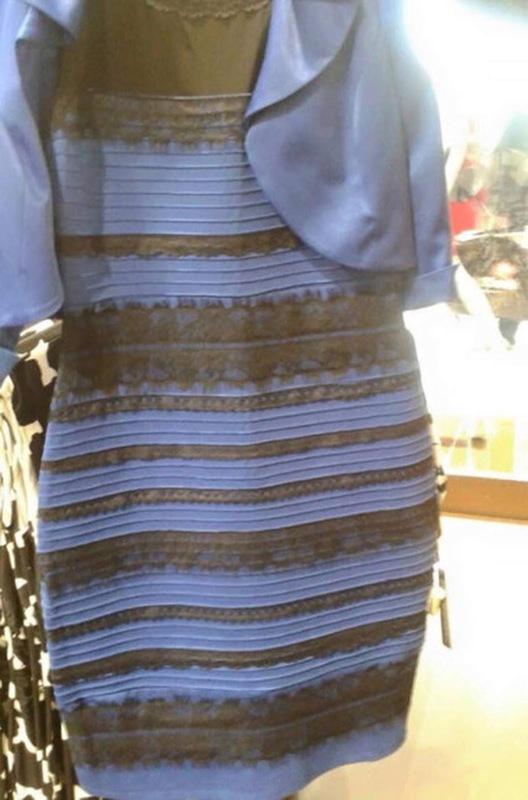 Stepmother, this is a BLUE DRESS." Synopsis: REALLY? Do you really need a synopsis for Cinderella? All those nagging from your mum to read your storybooks, did you not read them? Did you even listen to your mum when she read you your bedtime stories?! Review: Before I get on to Cinderella, let's first review the highly anticipated sequel of Frozen, titled Frozen Fever. Again, the team behind Frozen churns out another #5frozenbeans. The whole short was splendidly done, and anyone who loved Frozen is going to be delighted by their favourite characters. There is also a new addition to the film - mini olafs. OH MY GOD their cuteness level is just... TOO CUTE. How do they even manage to come up with such a cute character? Trust me, you are going to agree with the Evilbean once you see those cute little mini-olafs. In a way, I am also thankful that the new song in this short is not that catchy and addictive. I cannot take anymore let it go, as much as I liked the film. But the mini-olafs? TAKE MY MONEY AND SELL THEM NOW! 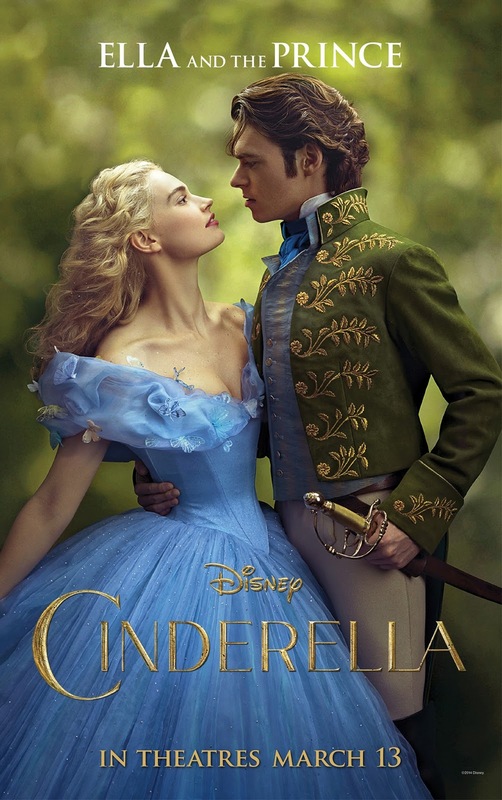 Prior to watching this, I honestly thought that Cinderella was her name, until the movie educated me. I was stunned to discover how her name originated. It was as if someone smashed a brick off your wall of fairy tales - the wall that you built from childhood, the wall you thought was always reliable. I have never watched the cartoon version of Cinderella before, so it was quite interesting to see the storybook I read come to life. One thing is for certain: the cinematography was gorgeous! Everything from the farmhouse, the forest and the castle were meticulously designed to invoke a sense of dreaminess, yet at the same time you feel that this could have actually happened. I must say that the director (Kenneth Branagh, who also directed Thor) did a really good job with the skillful tiptoe between the thread of reality and fairy tale. One of the climax in the Cinderella story would have to be the appearance of the fairy godmother and the whirring rush of magic to get Cinderella to the ball. Her fairy godmother gave her a strikingly sparkly blue gown with a Bibbidi-Bobbidi-Boo! If you have ever wondered what happened to dead characters in Game of Thrones, well, they appear in movies. Our favourite King of the North, Robb Stark, reincarnates as Prince Charming, while Xaro Xhoan Daxos becomes Charming's Captain in the castle. 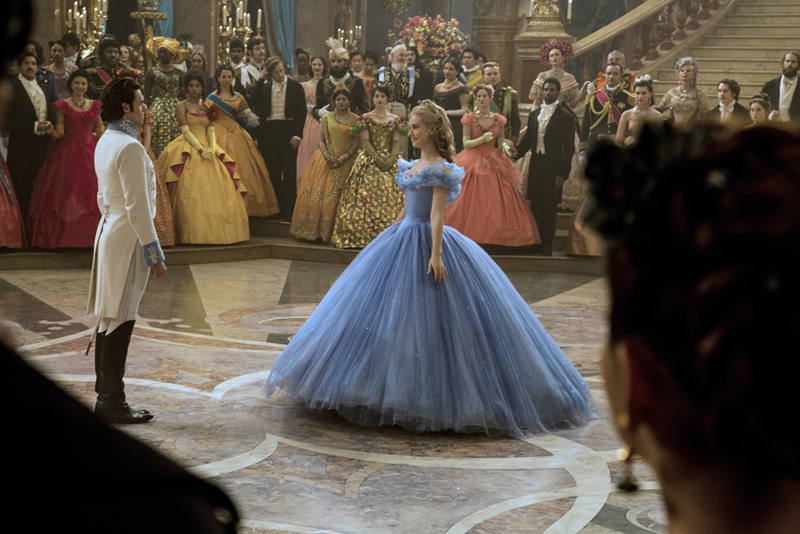 There is no doubt in their acting skills, and Lily James as Cinderella also gave a wonderful performance with her mini XXS waist. Really, her waist size is smaller than my fingers. I was hoping that they did something different with the plot; I was seriously anticipating a plot twist. But it was simply just a modern 2015 remake of Cinderella. All elsa aside, I mean, all else aside, Cinderella is still a great movie to watch with your loved ones because no one can resist Disney's magic (and of course that #5frozenbeans Frozen Fever before the movie). Stay back for: Better get home as soon as the credits roll, before your carriage turns to pumpkin! Fun fact: Emma Watson was actually offered to be Cinderella, but she declined. But do not despair, Hermoine fans, because she is going to be the Beauty in the Beauty and the Beast (2016). Much more befitting of her magical beauty! I shall end this review with a photo of a real life Cinderella that appeared before the preview screening! P.S: The Cinderella movie started at exactly 12am, how cool is that?